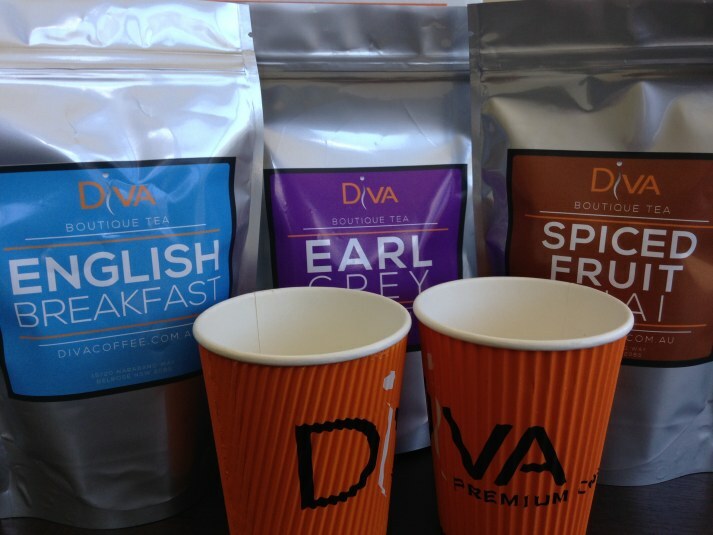 Diva are proud to be able to now offer our beautifully selected and handcrafted teas to all our cafe, office and retail customers. We have the following the teas available in a range of sizes. English Breakfast, Spicy Chai, Earl Grey, Pure Peppermint, Pure Green and Lemongrass & Ginger. See below of brew methods. This Ceylon based tea is a classic amongst tea drinkers. We’ve thrown in some of our secret herbs and spices to complement the traditional flavours to ensure that its up to our very own Diva standard. This brings out a sharp and consistent taste that you will just love. Best Brewing: Add 2 teaspoons to a medium size pot. Add boiling water. Steep for 2 minutes. Pour. Add Milk and/or sugar to suit taste. Best Enjoyed: Next to an English scone. Morning, afternoon and evening. Luxurious by nature. Pure quality by all reports. This tea is so Diva that we only had to tweak it slightly to bring our flavours to the party. A definite ‘afternoon’ tea to kick back, relax and enjoy after a long day. Best Brewing: For a perfect earl grey add 2 teaspoons to a medium pot, add boiling water and steep for 2 minutes. Add Milk and/or sugar to suit taste. Best Enjoyed: A slice of lemon will really accentuate the flavour profiles… yum! Classic gunpowder style green tea that brings a smokey taste out. We’ve rolled the leaves tightly to ensure the magical flavour is preserved and makes it all the way into your cup. Purely sensational, and with many health benefits this is one not to be forgotten. This blend is sure to be a winner amongst chai drinkers! The perfect combination of delightful, succulent fruits and a wide array of spices from all around the globe. These flavours join together to pack a one hell of a punch. This chai has been meticulously scrutinised until we were more than satisfied that we got each part of the puzzle perfect. This really is a Diva Tea! The perfect combination. Like Ying & Yang. This tea brings together a concoction of tastes that amalgamate to bring you a refined and caffeine free beverage that can be enjoyed anytime of day, particularly those days when you just need something to calm you down. Sit back, relax and enjoy a slice of heaven. Best Brewing: Add 2 teaspoons to boiling water and steep for 3 – 5 minutes for a flavour sensation. Enjoy hot or iced cold. Best Enjoyed: With a slice of lemon and a drop of honey.